New from Melco Marketing! Keep your name visible every day of the year. The more you order, the more you save! 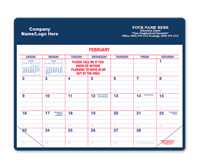 Melco Marketing is still producing the most effective marketing tool, the original magnetized agent calendar. The more you order, the more you save! 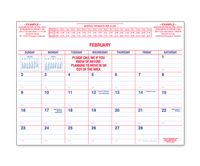 Magnetic Calendar Refills are designed to save time, money, and our valuable natural resources. Melco provides you with a refill product that is identical in quality to the original. Looking for the perfect gift? These two items are the most effective farming/marketing tools an agent can give to a client or prospect. They build a personal bond between you and the recipient that lasts a long time. They are both true gifts that are used, not just a giveaway that is often discarded. Clients support a company that gives them a useful gift. We look forward to a busy calendar season so get your orders in as soon as possible!! 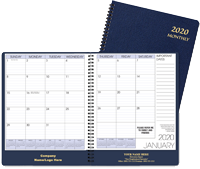 Thanks for your support and make sure that when you need a useful gift and the best farming tool in the industry you call the people at MELCO MARKETING for the "ORIGINAL MAGNETIZED AGENT CALENDAR OR THE MONTHLY AGENT PLANNER". Two of the best ways for you to keep your name in front of your clientele for less than a penny a day! We wish you a successful and healthy year.